Here’s a carving from Tony Endhoven. Tony was the featured carver at this year’s Magic in Wood Competition and Show, October 18-19, in Pickering. 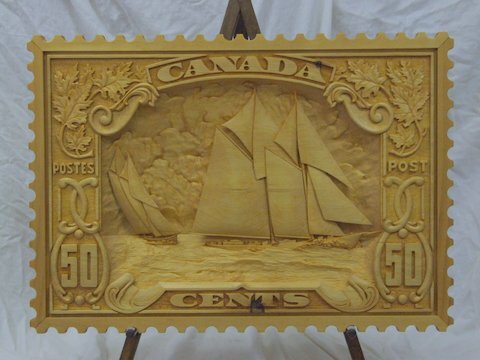 Largely self-taught, Tony has been carving seriously for 30 years. Over the years he’s won Best-In-Show awards in Ottawa and Hamilton, as well as in Pickering. Recently, he taught a seminar for the first time, and looks forward to teaching again. The carvings he put on display in Pickering reflected his broad scope as a carver – everything from caricature, to realistic relief, to carvings in the round. Members of the Ontario Wood Carvers Association will find an article about Tony and his carvings in the upcoming winter issue. This entry was posted in Uncategorized and tagged carving, Pickering, Tony Endhoven on 30/10/2014 by diamondcarving. The Ontario Wood Carvers Association’s 35th annual competition and show will be on at the Pickering Recreation Complex October 18-19, 2014. The competition awards prizes at the youth, novice, intermediate and open levels. Special awards — Originality/Creativity, President’s Choice and Carvers’ Choice — bring the total prize value at the event to more than $5,000. Along with the competition, the show will spotlight the work of a master carver. This year’s featured carver will be Tony Endhoven. Magic in Wood attracts exhibitors and vendors from across the province. People who have never carved before can try their hand at “You Can Carve”, where they can create a plaque under the watchful eye of a carving instructor. More experienced carvers can attend hands-on workshops, including caricature, relief, architectural and tool sharpening sessions. 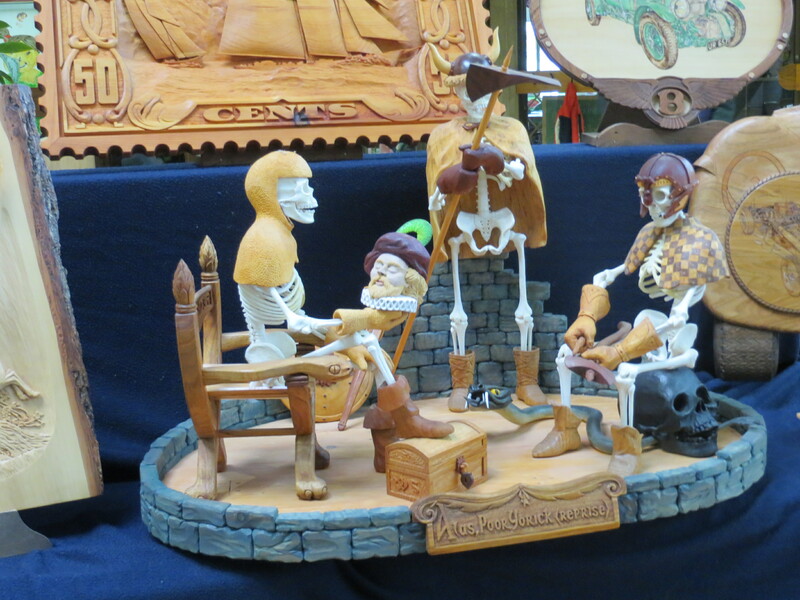 This entry was posted in Uncategorized and tagged Competition, competition awards, Magic in Wood, Ontario Wood Carvers Association, OWCA, Pickering Recreation Complex, Show on 08/10/2014 by diamondcarving.